Heredom is the flagship publication of the Society and has been delivered annually to members since 1992. This is the preeminent publication of scholarly Masonic research, recognized and highly anticipated by Masonic scholars worldwide. It is a peerless collection of the finest and most thought-provoking essays on contemporary and historical Freemasonry, emphasizing the Scottish Rite. This annual hardback volume is delivered directly to members of the Society as a benefit of membership. Each volume contains multiple, in-depth manuscripts of Masonic research, reviewed by the SRRS editorial board. If you are a writer and have a manuscript that you would like to be considered for publication in Heredom, please contact the editor (S. Brent Morris, PhD, 33°, G.·.C.·.) by EMAIL. Remember to visit the Scottish Rite Research Society section of the Store to see what products are available with your membership discount. Since 1992, Heredom has published the finest research papers on fraternalism, Freemasonry, and the Scottish Rite. Back volumes have cost $35—until now. The SRRS needs to reduce inventory as it moves to new storage facilities. SRRS members have the first opportunity to purchase these valuable books. 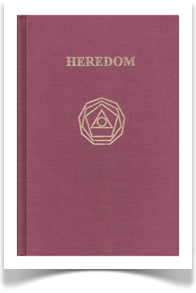 Order now; supplies of Heredom are limited! This offer is good while supplies last. Volumes 4, 6, 7, 9, and 10 of Heredom are available for $12.50 each plus shipping and handling. You must have your SRRS membership number to receive this discount. Let the unlearned learn, let the experts love to remember. Note: The papers published in Heredom and The Plumbline are the responsibility of the authors and do not necessarily represent the opinions of the Scottish Rite Research Society™, the Supreme Council, 33°, S.J., or any other Masonic body. 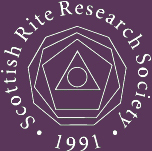 All submissions become the property of The Scottish Rite Research Society.